I avoided gels for a long time. I think most people are smarter than me. I avoided gels because I like energy drinks. Gatorade is my favorite. If you’ve ever combined energy drinks and gels you know it’s a mistake. You’re body can’t process all that stuff and it makes you sick. There’s nothing like being an hour and forty five minutes into a long run and you feel like you gotta throw up. Worse yet, you do start throwing up. Choose energy drinks or gels but don’t do both, ask any experienced runner. After many years and a number of marathons I finally decided to abandon energy drinks and go with gels. I’ve developed a taste for strawberry banana. Of course you need to wash them down with water. Gels can be messy so I take a plastic sandwich bag with me and stuff the used gel packs in it. I even do that when I’m running a marathon to save the course clean up crews the agony of having to pick them up. Nutrition is extremely important and it’s no secret. For me, today, gels are the best option. My body seems to like what they do for it. Blogs and running articles talk about the importance of nutrition all the time. During my first marathon I thought Snickers bars were the ticket. Laughing is perfectly acceptable here. I was an idiot. I’ve tried a bunch of other things along the way. None of them worked. Imagine that! For the longest time I’d go to breakfast and eat a couple of fried eggs and bacon before a long run. Proteins are extremely hard to digest. Consequently, I wasn’t doing myself any favors. I’ve had more headaches, migraines, muscle aches and extreme fatigue as the result of over exertion, so much so I thought it was normal. For years I fully expected an exhaustion migraine the afternoon following my long runs. If I was doing a long run in the morning my wife would say, “you’ll be useless the rest of the day.” She was pretty much right. I’ve got a PhD from the University of Hard Knocks. After much reflection I discovered my errors were either side of the malnutrition coin. Either I consumed foods that my body couldn’t digest during a run or I simply didn’t consume enough calories. In either case I was depleting all my energy stores without replacing them. According to my research our muscles store about 2 hours of glycogen. Our bodies convert carbohydrates to glycogen which our muscles burn as fuel. The idea behind carb loading the day or two before a marathon is to max out your glycogen stores. When you deplete your glycogen stores your body builds up lactose, especially in your legs. They ache, and cramp and spasm. It’s called hitting the wall. It ain’t fun. The way you avoid it is to consume digestible calories with water during your runs. One ounce of water per mile or 2 ounces at each water stop. More if it’s hot. Your digestive system converts the carbs to glycogen and the water hydrates your system to deliver it to your muscles where it’s combined with oxygen to produce energy. Gels are loaded with digestible carbs, salt, caffeine and other stuff your body loves during long runs. The challenge is finding the right balance. Too many gels and your body doesn’t process them fast enough and they sit in your stomach like a pile of lead. Too few and your muscles run out of fuel. 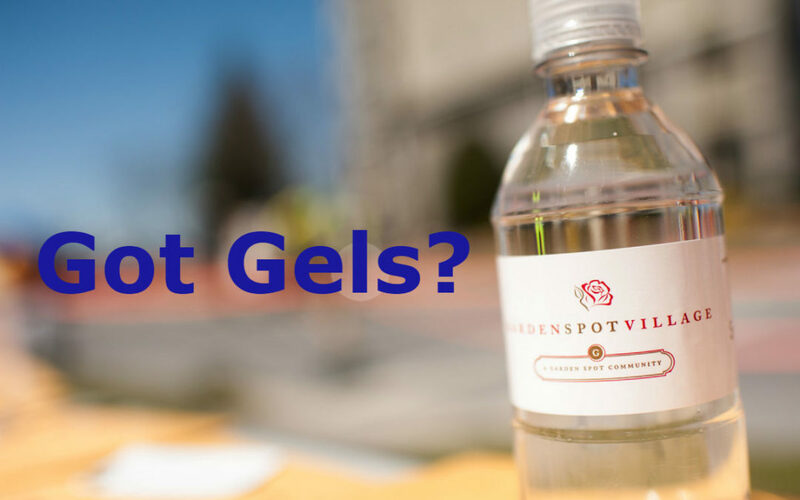 The recommendation on most gels is one gel pack every 20 to 40 minutes. That just seems like a lot to me and makes me think their real goal isn’t necessarily my best interest, it’s to sell a lot of gels. Every 20 minutes, that’s 3 every hour. I’ve done my best to research how to most effectively use gels but all the info seems to come from the gel companies in one way or another. Being a touch skeptical, I’ve searched high and low, asked nutritionists and biologists but have yet to get a straight answer to the question: “how soon after beginning a long run should I start to consume gel packs and how often should I consume them after that”? I’ve even tried to discover how quickly our bodies metabolize carbs but I’m obviously not looking in the right place. Having yet to get a straight answer to the “when and how often” question I resorted to trial an error. To the manufactures credit they typically say you need to determine what’s right for you. When I trained for my last marathon I used the following routine and it worked very well. I’d consume the first gel pack after 1 hour then another gel pack every 45 minutes there after. I paced a half last year and adjusted the timing a bit. I paced a 2:30 finish and consumed 3 gels over the course of the run. I finished right on time. Gels are one of those things I’ve talked with a bazillion runners about and it’s hard to get straight answers as to what people do. I get the impression there’s a lot of haphazard use of gels. I’m not sure people know what to do with them. The routine above seems to work for me. My entire point with this blog is that nutrition is extremely important. Just any old idea about what to eat may not be the best strategy. If you’ve got a routine that works, stick with it. If you just wing it you may want to rethink that strategy. Nutrition, hydration, endurance, miles on the legs, core strengthening exercises are all important. I did a really icy run this morning. See the video. Enjoy those runs. Put miles on the legs. Be safe out there. I’ll see you in April!